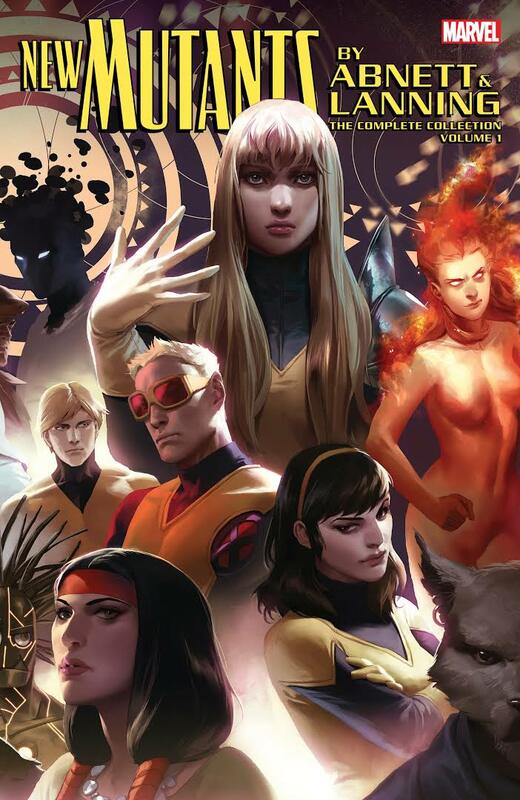 New Mutants by Abnett & Lanning: The Complete Collection Volume 1 is out this week, and it’s a great sampler platter of stories for Marvel’s more obscure X-Men. The paperback collection includes New Mutants issues #25-37, written by Dan Abnett and Andy Lanning. These stories feature four different art teams: Leandro Fernandez & Andres Mossa; Michael Ryan, Norman Lee, & David Curiel; David Lafuente, Robbi Rodriguez, Val Staples, Chris Sotomayer, & Sotocolor; and David Lopez, Alvaro Lopez, & Val Staples. Joe Caramagna lettered all the issues. It also includes issue #632 of Journey Into Mystery by Kieron Gillen, Mitch Breitweiser, Bettie Breitweiser, and Clayton Cowles. This volume basically collects six different New Mutants stories. Each one naturally flows into the next one, but they all could also easily be read independently of one another. Readers can enjoy the rescue and return of Nate Grey, as well as the team battling Asgardian demons, Magma going on a literal date with the Devil, and more. Abnett & Lanning are perhaps best known for their epic Cosmic Marvel saga, where they made stars out of lower-tier superheroes by showcasing their full, badass potential. The duo bring that same kind of energy to New Mutants. Yes, this team has its die-hard fans, but these are still fringe characters that aren’t appreciated like the main X-Men. But Abnett & Lanning bring out the best in the crew, showing how powerful they are, both as individuals and as a team. Between Magma holding in an earthquake with her bare hands and the ferocious battle skills of Dani Moonstar, this collection will make serious fans out of readers. The team chemistry and dynamic is also a joy to read. 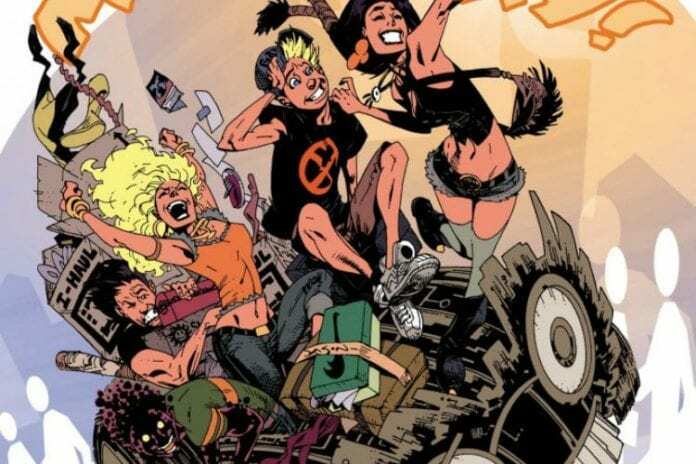 The X-Men are a family, but the New Mutants have always been like a little family within the family, and you feel their connection in these pages. Plus, New Mutants comics have the ability to go to weird places like no other X-comics can, and this volume is no exception. If you’re a fan of the absurd, or horror, or absurd horror, you’ll dig this run. Again, Magma goes on a literal date with the Devil himself, and it’s probably the highlight of this entire book. The art varies, due to the aforementioned four art teams, but each team brings the right kind of energy for their story. Fernandez and Mossa provide an edgy grit to introduce the series. Lafuente, Rodriguez, Staples, and Sotomayer give off a scarier vibe that’s very apt for the Fear Itself tie-in. Multiple artists are very good at focusing on delivering emotion and strong facial expressions for more personal stories. The frequent changes may be jarring to some, but it’s hard to argue that the changes don’t work for the betterment of each arc. New Mutants by Abnett & Lanning is a solid read whether you’re an old fan of the team or new. And with the New Mutants movie hitting theaters this year (hopefully), this collection is a good entry into this world.